Well, almost a Wild Turkey, which was most unfortunate as Sister Madly was on her way to a wedding that day and was clearly lacking a +1. He clipped the roof of her car, having neglected to look both ways before taking flight on that lonely country road. Sister Madly was just as startled as he: obviously, neither of them knew that wild turkeys could fly. But she’s not here to talk about the turkey. No, she came here to discuss something that haunts every decent human creature on the planet: 6:30 AM. You see, Sister Madly does not do this 6:30 in the morning bit. Not on purpose. 6:30 in the morning is reserved for cozy dreams of Lotus flowers and creepy houses with staircases that go nowhere. While sunrises have been known to happen at this time of day, there are those of you gracious enough to take pictures of them so she can enjoy them at a later, more humane hour. But there it was, 6:30 AM, glowing like a nuclear blast outside her window- which wouldn’t be the case if someone hadn’t chopped down the tree in the middle of the night. Turns out, the earlier one rises, the earlier things get done- such as errands and picking up hitchhikers. While out and about that morning, a dragonfly flew through her window and settled onto the dashboard. Perhaps he needed a lift, or perhaps he was lonely; perhaps he just enjoyed the Qntal CD that was playing. 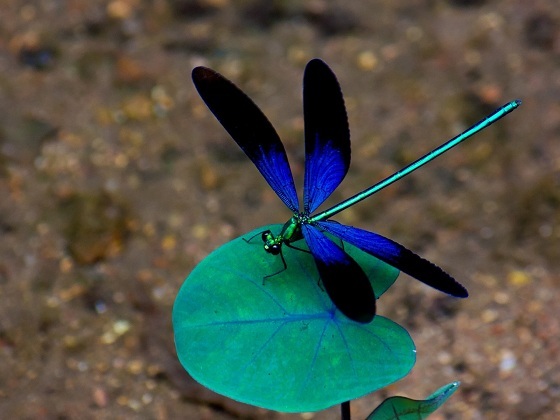 Whatever the reason, the dragonfly stayed with her all the way home- something which, Sister Madly grudgingly admits, might not have happened had she awakened at a later hour. If only the other whimsical encounter ended just as well. 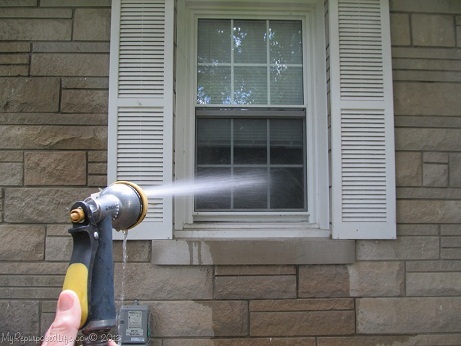 Some years ago Sister Madly, after spending the night at a friend’s, was gently awakened once again around 6:30 AM, this time by Rita’s younger brother spraying a hose through the bedroom window. Being the feisty little spitfires that they were, the hose-drenched duo staggered into the kitchen and proceeded to bake a cake. To this day, Sister Madly can’t tell you why they decided to turn domestic at that unholy hour, nor why they decided to flavor the cake with rum. Perhaps it was habit, as they both were employed at the bistro where baking was routine. In fact, Sister Madly remembers little of what happened that morning between the moment they were hosed out of bed and the moment the timer when off, when she found herself sitting on the kitchen counter with her feet in the sink. Across the room Rita, who had been stabbing a lime with a pencil, was just as bewildered. 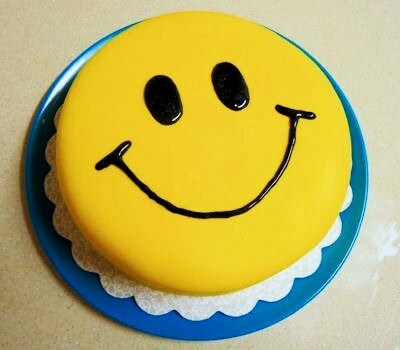 They should’ve known better than to decorate a cake straight from the oven- no, they did know better; they just did it anyway, frosting it in yellow and topping it off with a half-hearted smiley face. Since neither one wanted rum cake at 8:15 in the morning- and since neither one could say for certain that the rum actually made it into the cake- they resorted to that old tradition ingrained into every creature at childhood: give the undesirable treat away to a Crush. Besides, who wouldn’t want to be rousted out of bed on a Saturday morning for a Smiley Face Rum Cake? They drove with the windows down, taking the longest, most carefree way to the Crush’s house. Since they didn’t allow the cake to cool before frosting it- and since all they had to transport said cake was a paper plate- it took some creative acrobatics on Sister Madly’s part to keep from flinging the cake at Rita. Or at the windshield. Or at herself. The last thing one thinks to worry about in this situation is the intrepid, happy-go-lucky butterfly that suddenly flits through the window. But it was not Sister Madly that this butterfly was interested in; no, it was Rita- the one behind the wheel. The one who does not like bugs. Not even pretty ones. Curious as to how one drives while being kissed by a butterfly? The same way one does when being assassinated by a wasp. Emitting a high-pitched screech, Rita took them on a willy-nilly journey over curbs and potholes, crossing the center line and back again until the Smiley Cake escaped the horror by flinging itself out the car window and into the street, where it was promptly run over by a bus. This entry was posted on August 6, 2015 by Sister Madly. It was filed under Life and was tagged with culture, dark, dragonfly, humor, madness, magic, nature, random, weird, writing. 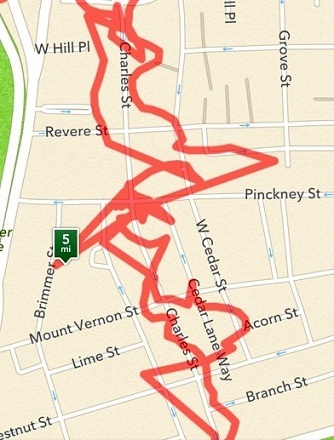 Interesting misadventure there Ms Madly! I do know about butterfly kisses while driving and appreciate just how distracting they can be while trying to keep the vehicle off a lamp post or out of a ditch! You know what me and Rusty say, “there’s cake!”. One of us wouldn’t of cared that the cake had been run over by a bus and I’m not saying which one of us wouldn’t have cared. Beary reports that in fact the rum did not not make it in to the cake. One of me and Rusty wouldn’t have cared about the Rum not making it in to the cake. Again, I’m not saying which one of us wouldn’t have cared. If you’ll excuse me and Rusty, one of us is having a deja vue moment all over again. Milady, as always a pleasure. Ah, so Beary’s the reason there was no rum in the cake! Is he also the reason why there was a butterfly in the car? Or was this merely a ruse to feed the cake to the wild and endangered City Bus? Beary isn’t the reason there was no Rum in the cake. Beary just reported there was no Rum in said cake. Beary talked to my Angel. My Angel talked to me. You know how it goes with angels when they go bowling up in the clouds, they talk. Now had you told a teddy bear, the secret would have been safe. The Bus prefers tortillas so it required a ruse to get the Bus to eat. Flat as pancake so to speak. So, Angels can’t keep secrets but teddy bears can? That the truth is, you drank the wild turkey too and only thought you saw one fly. ‘Too?’ Is this a subtle way of explaining where the rum went? I see. So, while we mortals are out there lushing and downloading – or worse, purchasing – Gregorian Chant Cover songs, our Angels are gossiping and bowling and playing euchre. To what length must one go to get an Angel’s attention? Tis in truth quite simple. Gregorian Chants aside. Just tap your pompoms together 3 times, reach up and give the sky a tug which is like tugging an Angel wing and when the Angel leans down whisper in his ear, “pssssst it’s me ___________ I need your attention. Good to know. Drawing a Baphomet on the wall while chanting ‘I Summon Thee’ would probably have beckoned the wrong entity. Agreed. There is a solution to those wrong entities but it is extreme and I’m not sure you would like it. There’s a lot of things I don’t like. But it doesn’t mean I won’t do it. 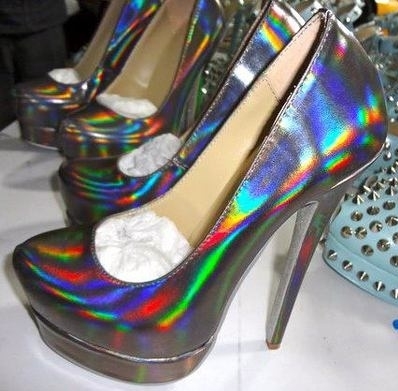 Magic shoes. Not as much in them as our conjured Majik. Just an addition of rainbow fire bolts. Those pesky entities that go Michelin Marshmallow Man on you, they melt to a smores consitency in 4.2 seconds. Works very well with other melty entities as well! Ha! Oddly I empathize with some of these exploits. I have learned the hard way one should not drink the rum you plan to put in the rum cake and one be should never frost a cake when it is still warm. The other day I had a crow attempt to fly in my car window. I discovered that is way worse then a bee. It was more like an episode of The Birds. They have beaks and talons and are really quite frightening when they are trapped with you in a small space. All is well, the crow simply flew back out, but it thoroughly rattled my cage. Once on a camping trip we left the car windows down and a couple of rabid squirrels took up residence there. I wish we had a hose, that would have come in handy, although the car would have been soaked. It’s a bit embarrassing to admit I was once thwarted by a couple of territorial squirrels, but it’s true. We’ve all heard the bits of wisdom- don’t frost a warm cake, don’t drink the rum, etc- but it never rings true until you prove it to yourself. Unfortunately, at times. 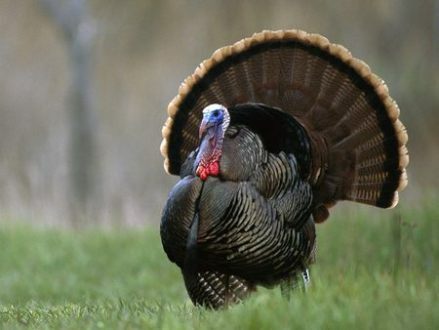 By the sounds of it, I think I’d rather have a wild turkey in my car than a crow- wow! In this case, I will learn from your experience and just get the air conditioning fixed. I am now craving rum cake… on what street did the cake fly out the window? I believe it was on Main Street- does that help at all? Aw, man- that sounds like a good time! Hang on- I’ll be joining you all! Okay… It’s been nearly thirty minutes and you’re still not here. Now I’ll just return home, bake another cake, and toss it out onto the highway. Meet me there in 3 hours. Have you ever heard of such a creature? I am painfully familiar with that particular species. Apparently they are not extinct after all. Should they be mystery flavor dum dums he throws your way, then god help you, my friend. Thank you, SM, for the wisdom of “Never frost a warm cake.” In consideration of which, I’ll offer you this: Never trim your toenails while you’re high. You’re welcome. Oh dear- that doesn’t sound like it ended well. Got into it a little too much and didn’t know when to quit. I do hope you still have some toes left! Oh, yeah. I’ve recovered. That was back in the Reagan administration. No, no, no, no I don’t smoke it no more. So, I’ve regained full usage. I’m beginning to think that air conditioning in a car is not a luxury, but a safety feature. Flying creatures don’t come through the air vents- well, maybe in horror films. Thumbs up on Qntal Vi: Translucida! Thanks for turning me on to it. You’re most welcome! Always fun to discover new music.